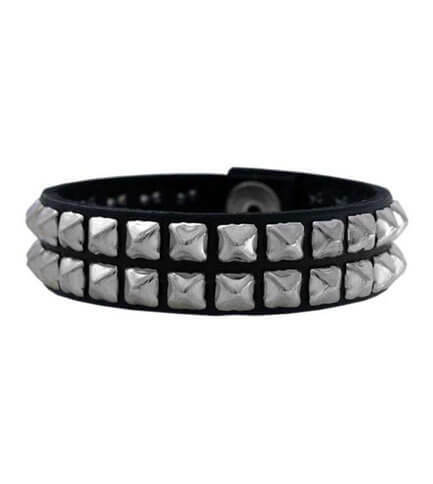 100% real leather wristband with two rows of chromed mini pyramid spikes. This wristband is one inch wide and has a single button snap enclosure. 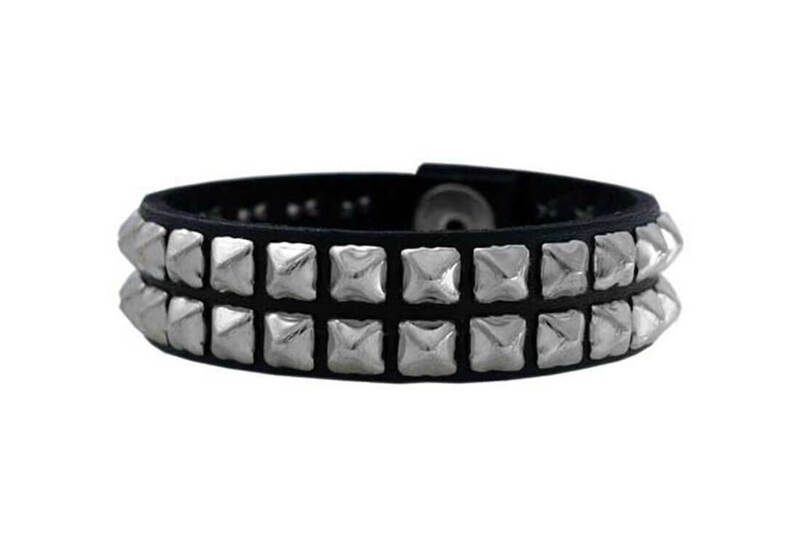 the item is awesome...im going to be wear it to carolina rebellion. it fit good..Thank's.